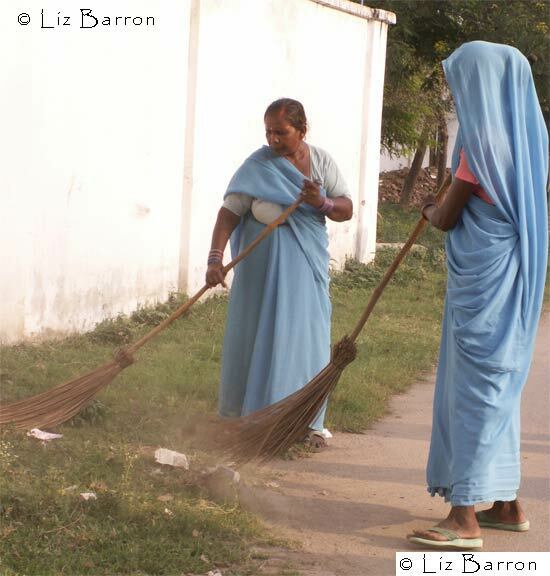 Picture of woman sweeping the streets. In some parts of the world woman still participate in this ancient ritual. In the land of brooms the one with the leaf blower is envied.